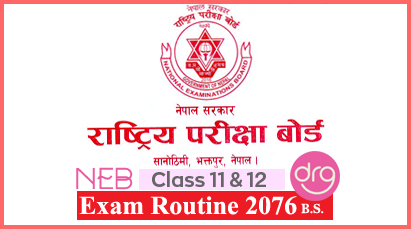 Grade 10 SEE Exam Routine 2075 (2018/2019) Published. Know About Cookie Consent Notification for Bloggers? Why it is essential for the Bloggers? Teachers Service Commission has published the New Curriculum 2075 for Primary, Lower Secondary and Secondary Level exam. New Curriculum for secondary level (Grade - 1 to 12) has been approved. Yesterday, Friday June 01, 2018 [18 Jestha, 2075], Government of Nepal has published the Exam Centers for 9th EPS TOPIK Korea .